My popcorn ceilings may be old, but I still want them to be clean. They tend to collect dust and spiderwebs over time, and I've finally found a way to get them clean without much effort! Just use a new, thick-knapped paint roller, on an extension pole if possible. 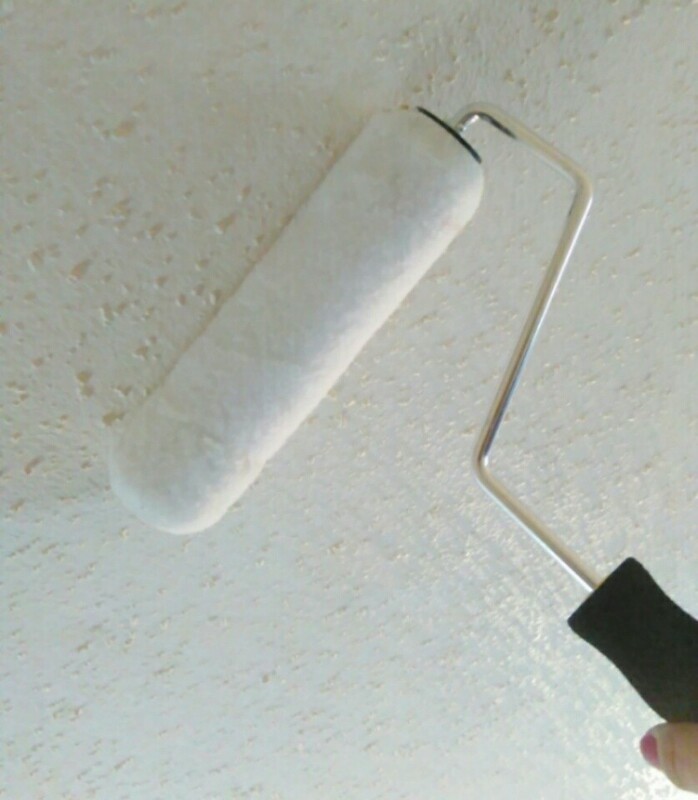 Dampen the roller with plain water (only slightly to avoid drips), and then just roll the surface as if you were painting, rinsing the roller as needed. If your ceiling is particularly dirty, you can add a small amount of vinegar or mild detergent to the water. This tip works very well, and you'll be done in no time! I will definitely try this! What a good idea! Thanks for sharing! Great idea! We just bought a home with popcorn and the ceilings are dusty. Most popcorn ceilings have asbestos in them. If any ceiling pieces come down, you need to have them tested and safely removed. It's best to leave the ceilings undisturbed. Where do you live that your popcorn ceiling has asbestos. That is completely false. Thanks for the input! Mine are so old and dirty, anything will be an improvement. I will try this one for sure! Dear Spacecase- Great name! You're very welcome! This works great for me- I bought my new house (built in '76!) & the ceilings were a MESS! We've had a really bad year for dust in Oklahoma this year as well, & this has been both the easiest & fastest way to do the job well! Someone else commented on the dangers of asbestos in popcorn ceilings- while this is a very real concern when REMOVING popcorn texture, I personally don't agree that the very MINIMAL loss of a half-dozen pellets while cleaning the ceilings in this PARTICULAR way is detrimental to your health - in fact, filthy ceilings collecting dust and spiderwebs for years would be more of a health concern for me personally- but I'm not a Dr, so clean at your own risk - HAHAHAHA!- & enjoy those funny ceilings being clean! On a very serious note, though, I do KNOW that popcorn ceilings ARE a very SERIOUS health hazard DURING their actual removal or replacement- you can in fact do this task yourself with proper technique and equipment, such as top of the line respirators, etc- just be sure to research this carefully should you decide in the future to replace the texture. Some states have laws that a CERTIFIED removal service must be used...But I clean mine as described above, & so far, I'm not dead... tee-hee! Thank you, & enjoy!! I have seen these methods work very well. My ceilings have been painted many times throughout the years, so how will these methods work then? I've been vacuuming my popcorn ceilings for years. Been in the house 30 years. Only have to do it every few months and that often because continuous running ceiling fan. Looked through here to find an easier way but will continue with my way. Using the bare floor elongated brush attachment, it's so easy and fast. Washing it is another story. no worries of water damage or mold concern?